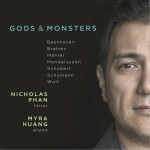 Following acclaimed albums devoted to Britten, baroque lute songs and German lieder, Grammy Award-nominated tenor Nicholas Phan continues to spread his wings with Illuminations, an album featuring compositions by Benjamin Britten, Claude Debussy and Gabriel Fauré who were each inspired by the poetry of two 19th-century French literary titans, Paul Verlaine and his protégé and eventual lover Arthur Rimbaud. 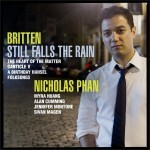 The intertwined lives of the French poets and composers manifested themselves in Fauré’s impassioned Verlaine-inspired La bonne chanson and Debussy’s Ariettes oubliées drawn from Verlaine’s Romances sans paroles. 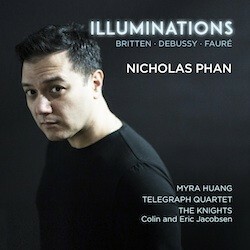 Just decades later Britten was inspired by Rimbaud’s influential prose-poetry Les Illuminations.